Olivia is a little bookworm. The first thing she does in the mornings when she wakes up is sit in her crib and read books. Between a basket of toys and a stack of books, the latter always wins. She so sweetly turns page by page, talks to herself and giggles. I love imagining that she is reading aloud for all to hear. One of our favorite things to do during the day together is spend mornings in cozy little book stores looking through all our favorites and finding new ones too. So I wanted to share a list of our favorite reads for the first year. In many of her books, I write a letter inside the front cover to her, sharing a memory, my thoughts or just reminding her what I love most about her. A child will never outgrow a story and books will always be in style. Clothes get worn, colors fade; toys may become boring and obsolete. But books, they are always treasured. I still have books from when I was a little girl and love how worn the covers are, how each page sparks a memory of mine from childhood, and how stories and words bring imagination and creativity to life. For us, they are always worth they investment & I especially enjoy shopping at tiny book stores and supporting small businesses. My Mom gave us "Soft Shapes: ANIMALS" when I found out I was expecting back in September 2012. The Soft Shapes series is made for the bathtub, but Olivia loves them outside of the tub too. They are hands down her favorite books/toys. Each has four shapes inside that fit into a puzzle of sorts with one per page. She loves to take them out and put them back in. After seeing how much she loves them, we gave her DUCKS for her 1st Birthday and then I picked up OCEAN last week. These are so much fun! 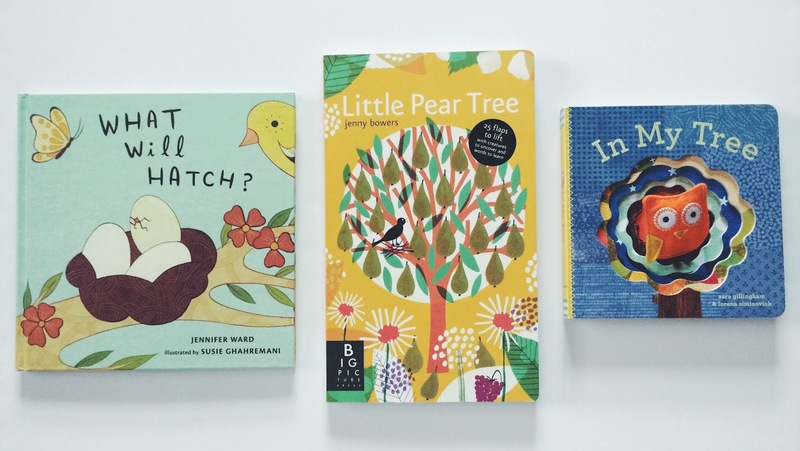 *I just recently came across these fabulous board books last week and fell in love. 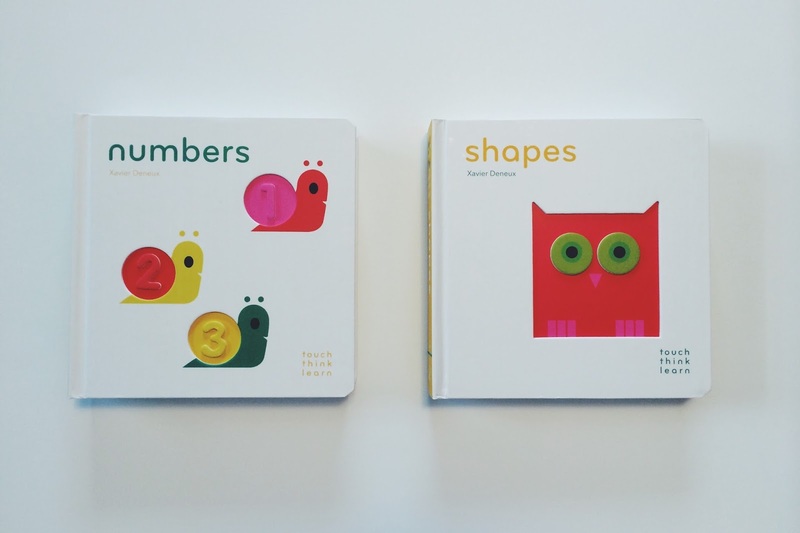 I started with numbers and then after seeing how much Olivia loved paging through it and touching each page, I got her shapes. They are filled with raised die cuts that fit into cut outs to teach a child all about each topic. The illustrations are phenomenal & they are unlike any book I've ever seen. V enjoys them so much that I plan to get opposites & colors soon. They are so modern and simple but seem to really get a baby thinking and exploring. Olivia sits in her chair and flips through these and just has a hoot! What are your child's favorite books? Of course all of the books you pick have the most adorable covers! And now I have to go order all of them... Thanks for the list, always enjoy your suggestions! Thanks for these suggestions! My registry is filled with books and I am always looking for more. My husband and I buy a book each month of the pregnancy for our little babe. I love the idea of writing a note or memory in it. I hope our little girl loves books as much as I do! These are all so cute! And they're not ones you see every day! Flora the Flamingo looks totally adorable- and the cover looks like it should be on display! Love this list!